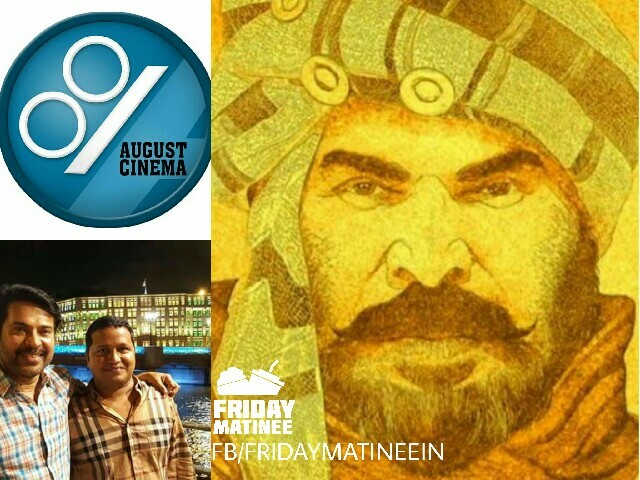 Home News Malayalam Kunjali Marakkar to be co-produced by Joby George? 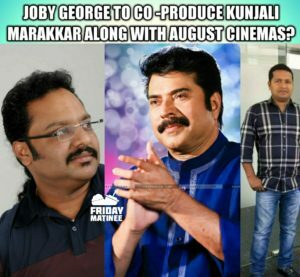 As per the Latest reports, Joby George under the banner of Goodwill Entertainments will co produce the Magnum Opus Kunjali Marakkar which stars Mammootty in the title lead role. The movie which is penned by Shankar Ramakrishnan and produced by Shaji Nadeshan under the banner of August Cinemas is expected to be launched officially soon by the Crew. This event would be most probably held on the occasion of Megastar’s 66th birthday celebrations along with the 125th-day celebration of the biggest blockbuster of the year – The Great Father produced by August Cinemas. The Great Father had reportedly done a business over 63 crores from its worldwide run. The details of the Director, as well as the other Crew and cast and details, is also expected to be announced during that function. There are many rumours floating that either Amal Neerad or Santhosh Sivan, who is also part of August Cinemas production house, will captain the project. Official confirmation regarding all the cast and crews will be announced soon along with the release of a pre production teaser. The movie is expected to start shoot next year and release towards the end of 2018 or by first half of 2019. Previous articleThaanaSerndhaKoottam Single Track Release Date is Announced!!! Next articleMohanlal -Shaji Kailas Movie To Be Released on Narasimham Day ?